Ridley Scott & Christian Bale are untouchable icons. Scott has been a successful director since 1979, with a long line of major motion pictures. Alien, Blade Runner, Legend, Thelma & Louise, G.I. Jane, Gladiator, Hannibal, Black Hawk Down, Kingdom of Heaven, American Gangster, Robin Hood, Prometheus, The Counselor; not every one was a hit, but you can see by this list that Ridley Scott is one of the most formidable directors in Hollywood. 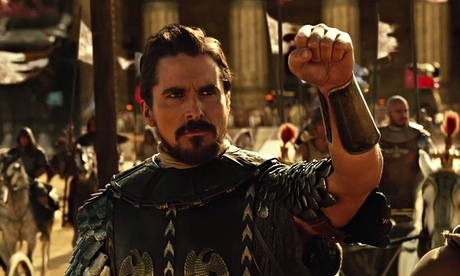 And Christian Bale is no less formidable as an actor. American Psycho, The Machinist, Batman Begins, The New World, The Prestige, 3:10 to Yuma, The Dark Knight, Terminator Salvation, The Fighter, The Dark Knight Rises, Out of the Furnace, American Hustle; again, not perfect every time, but these are just a few of his adult roles. With Scott & Bale coming together for this film, you’d expect near perfection, especially with a story that has already cemented itself in our minds. But the result was less than stellar, showcasing the worst the pair have to offer, not the best. It’s a plot as legendary as has ever been told, the tale of Moses. He grew up the adopted son the Pharaoh of Egypt, Seti the King of the Nile. His companion was Ramses, the heir to the throne, and the two were as close as brothers. But Moses’ origins were to ultimately break the bond that he had developed with the royal family, tearing his life apart and forcing it to begin anew. Moses was Hebrew by birth, a baby found by the river, a child of slaves. For 400 years the Hebrews have built the monuments of Egypt, living & dying by the word of the Pharaoh. Now knowing his lineage, Moses is cast out of the country, reduced to nothing, left to wander as he will. But his purpose is a great one, and he will return to Egypt soon. God begins to speak to Moses, commanding him to talk to Ramses, to bring about the release of an enslaved people, God’s chosen people, no matter the will of the King. A war will begin that is bigger than any mere man, that will change the course of history, and will show the world the power of God in his utmost rage. Bible stories tell themselves and thus make excellent movies. Whether or not you believe these stories to be truth or fiction doesn’t matter; they are epics on an enormous scale, full of treachery & power. They excite us because they have both historical context and magical elements, weaving together a story that seems believable and unimaginable at the same time. 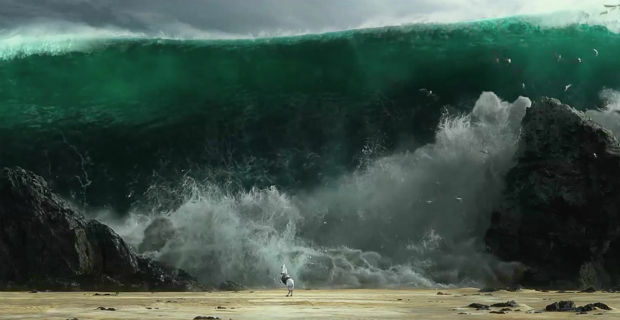 The Moses story has been done before, as has any Bible story that has even the slightest action, excitement, or war; those translate to the screen the best. So we can only give partial credit to any team that produces an excellent Bible story, because most of their work was done fore them, the seed was already planted. All that’s left for the director to do is to make the film visually appealing. And all that’s left for the actors to do is to bring the story to life. Don’t get me wrong, I’m not saying I could make a movie about David & Goliath today and make a million dollars. What I’m saying is that it’s a smart crew that chooses this kind of tale to tell, because we know the background and we’re ready to like it. So it really came as a shock that this movie wasn’t great. The trailer made it look so spectacular, so full of life, so exciting, so violent, and it was none of these things. Other than one badly-shot fight scene at the beginning, there was zero war, battle, or contest. Zero. It was pathetically reigned in, with no allowance for blood. Sure, there were whipped slaves, hangings, chariot chases, and some archery practice, but it seemed like every exciting scene must have been cut from the film in a wild night of bad decision making. The highlight was the plaguery; that was well-done and intense, with the awesome power of God overshadowing anything man could do. Perhaps this was a point the director wanted to make, that any war violence would have looked silly set against natural disasters, but those disasters took up 15 minutes during the middle of the film; the rest was a snooze fest. Bale as Moses was boring, coming across like a William Wallace wannabe, teaching Jews military tactics that they wouldn’t use, talking to a God no one else could see, switching personalities like clothes. 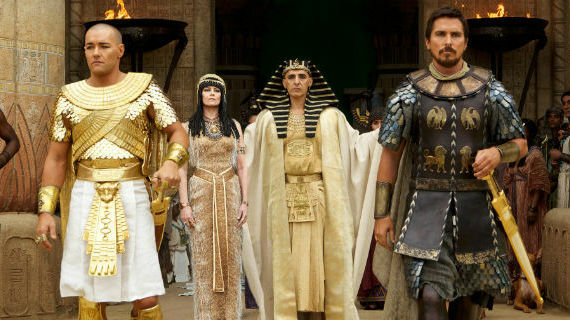 And let’s not even get started on Joel Edgerton as Ramses, John Turturro as his dad, and Sigourney Weaver as his mom. It was an odd cast to say the least, one you had to physically force yourself to accept if you wanted any chance of enjoying the film. As it was, I barely did, the credit for which goes to the story base and the excellent Nature Attacks scenes. The acting did nothing for me, the pace was poor, the action was DOA, and the movie as a whole fell flat, keeping my interest through shear spectacle.